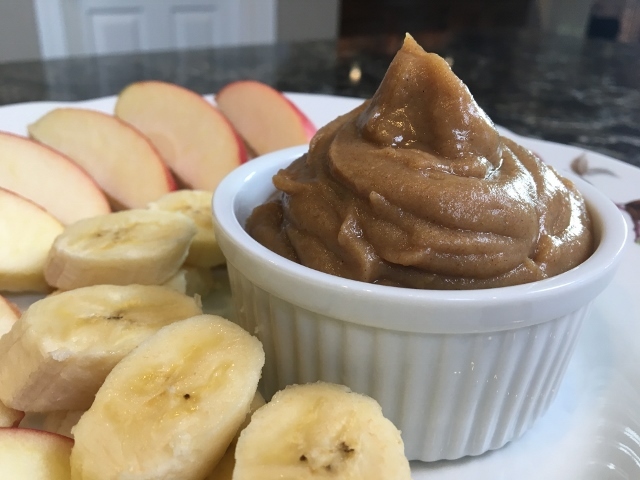 Children and adults will love this tasty dessert with apple slices, pear slices and bananas. You might even enjoy a little dish of it with a spoon – I may or may not have done this myself! You may have noticed a new look here for Nutmeg Notebook! Tom and I want to thank our very talented son David for all of the hours he has put into updating the blog for us. He has guided us and taught us to do a lot of new things behind the scenes here as we work our way through this transition to a new format. You can teach old dogs new tricks! We are not done yet and will be adding new features as we go along. Many of you expressed how much you enjoy the recipe navigation system that David had created on our blog and we have kept that for you and even added a few more categories in an attempt to make it easier to find the recipes you want to try. Not all of the recipes are in the navigations system but that is my task and I will be working on it weekly until all the recipes are there. You can use the search bar to look for things as well. Be sure to check out the Shop page by clicking on the Shop tab at the top of this page. We have direct links to all of our favorite things to make your shopping easier. When you use our affiliate links you help support our work without any additional cost to you. Thank you for your support. I would love to add a companion community message board where we can all interact and share our journeys. A frequently asked questions section would be nice to help you all who are just getting started. If you have any requests we are open to ideas. Be sure to subscribe to Nutmeg Notebook at the top or bottom of the home page there is a subscribe section. This allows you to get email updates whenever a new post is ready. You can follow me on Instagram, Facebook and YouTube as well! I always appreciate you sharing my posts and helping to spread the word about this health promoting lifestyle that we all have in common. We all have a responsibility to pass it forward. I just made your Yummy Banana Oat Bars and they are delicious. I did not have the date sugar and didn’t want to go to the store so I used 1 tablespoon date syrup and the turned out great. I am taking them to a friend who says she doesn’t like “healthy stuff”. I won’t tell her they are healthy and I know she’ll love them! 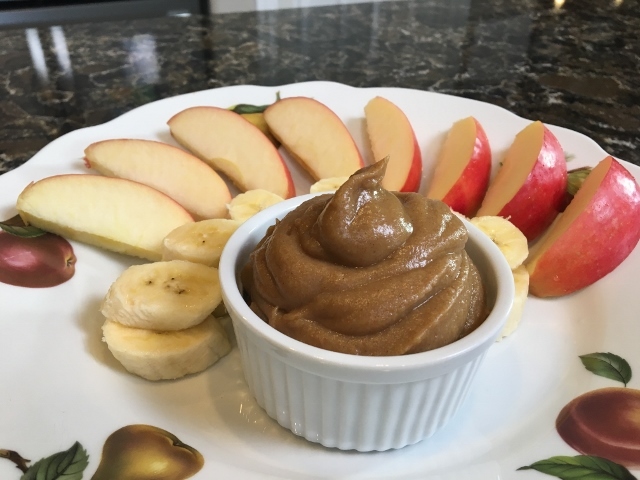 Next I am making the apple cinnamon hummus for my grandchildren! Thanks again for the delicious recipes. You’ve been busy in the kitchen! I find it’s best not to point out to people that something I’ve made is vegan or healthy before they try it. Although at this point in my life if they know me they know it’s going to be both! All we can do is be an example for them. I hope your ghrandchikdren enjoy the dessert hummus. Tami! I love your blogs new look! And your tag line! This fio looks delicious…who knew you could make hummus taste like dessert! I will definitely try! I am glad you like the new look on the blog! Do try the dessert hummus it is so yummy – you will be pleasantly surprised.